Shallow seas make for complicated/fun navigation - this was one mornings route! 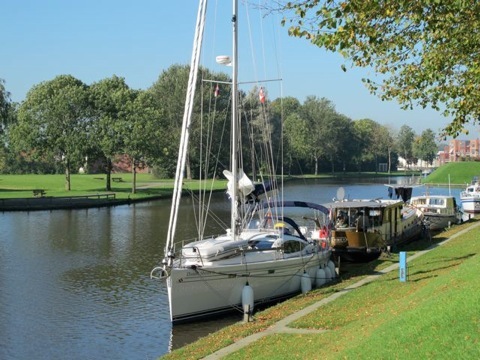 Holland has a remarkable canal network which includes a route right across the country that you can travel with a sailboat with the mast up. Its called the "standing mast route" and we travelled it for nearly a week! 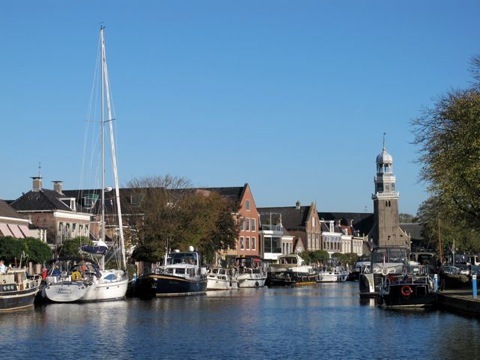 You visit charming towns and can tie up right in the centre of the towns. Very well organized and inexpensive to tie up, including power points!! Here is a trailer for the Season 7 DVD. It also includes the whole 6 month journey from the lovely Channel Islands, Germany, Denmark (visiting Copenhagen) Sweden and the Gota Canal. Shell Channel Pilot - the English Channel definitive guide. 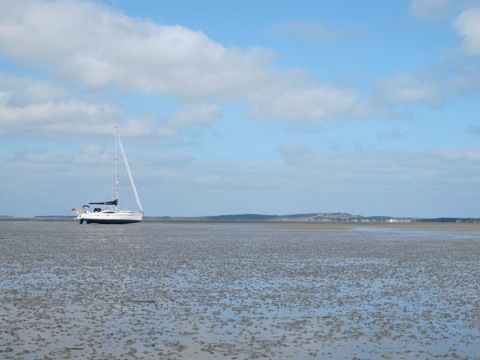 One of the most readable cruising guides we have used. We made two programs on these amazing cruising waters. 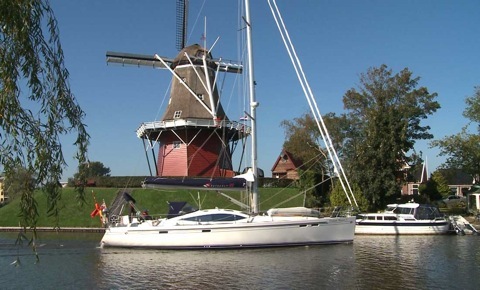 "Frisian Islands" covers our explorations of the shallow Waddenzee area, and "Dutch Canals" covers our trip through the standing mast route in the fall - ending up going through Amsterdam!! Season 7 Also includes the UK boating scene in the Solent and our cruise on to the Baltic with Sweden & Denmark!